Folk Dancing Edelweiss with James Hubbell! Folks, it was a full house of gigs last week and I clocked a bunch of miles in the Element. Big fun! One of the most unique moments happened after playing a fund-raising event for visual artist Jim Hubble and his Ilan-Lael Foundation. Just when you think the evening is winding down, Anne, Jim’s wife, organized a group of us to partake in some good ol’ fashioned folk dancing. We moved the tables out of the way and then she kick-started her ancient cassette boom box to cue up “Edelweiss.” From there she mapped out the steps and we proceeded to sway into the evening, dancing with Jim Hubbell. Hilarious and beautiful all at the same time! For this week I’m thrilled to drive up the hill to Julian to play a show tonight with guitarist Fred Benedetti. We’ll be at the Julian Library and it’ll be great to share the sound with the good folks of Apple Town. Hope to see you there! Up in the big lights! 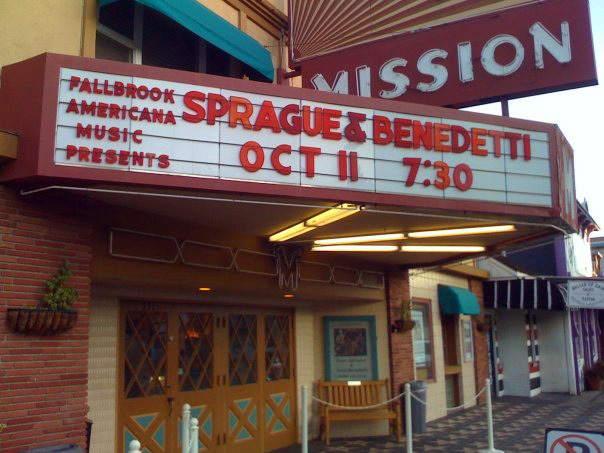 This is from a few years back when we took over Fallbrook with our 2003 World Tour. Next stop, Blythe! For Thursday it’s solo guitar travels at the Roxy in Encinitas. Always organic, always friendly. I attend several concerts every month and have for the last 30 years. I have to say that this is one of the best concerts I’ve ever been to. 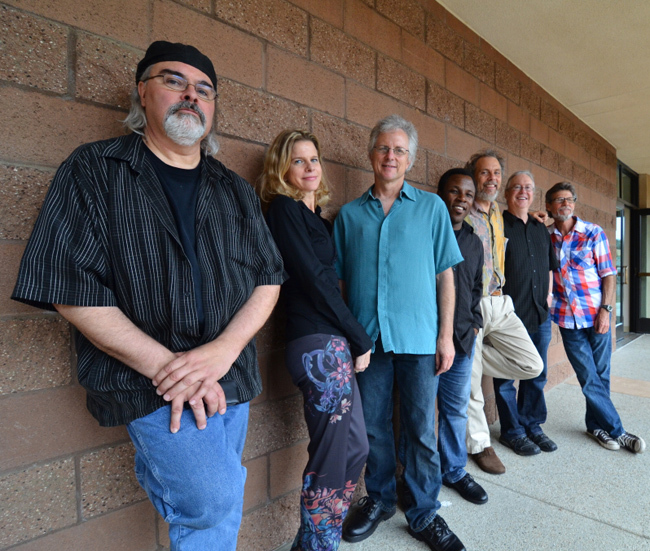 Peter Sprague knows how to pick stellar musicians  who make his brilliant arrangements come to life. I plan to go to his next Beatles concert and will happily play $25 to hear him. It just couldn’t have been better and several friends I invited said the same thing. One couple in their 70’s and music aficionados  said it was the best concert they’d ever been to. The music was fantastic. I think the theme of the concert also introduced some non-jazz fans to the music in a very accessible way - and that's always a good thing. The crowd was so enthusiastic and really seemed to enjoy your version of those very well-loved songs. It's a real talent to pull that off with such familiar tunes but you and your group did a fabulous job. So if this sounds good we’d love to have you there. Look below for the details. Across the Universe along the Long and Winding Road! 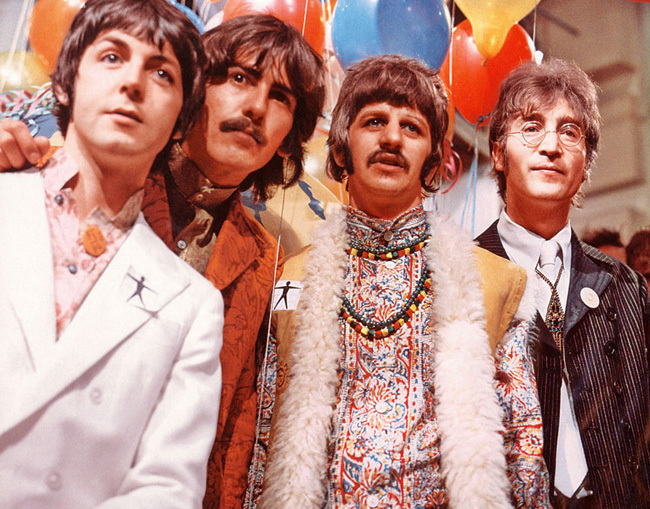 Here is the band photo from the last Beatles gig. We're smiling (at least most of us are) so you know somethings going right! And peeking around the corner into next week I’ll join pianist Geoffrey Keezer and his all-star group at the Neurosciences Institute for a concert on Monday night. It’s billed as Geoffrey Keezer’s "40 -ish" Birthday Concert and he’s bringing together some great players and beautiful music to celebrate a moment in a fantastic sounding concert hall. Can’t wait! Look below for the fine print. Duncan Moore  drums 7 PM We had such a great time recently presenting this program! Take some of the best songs in the world and let 'em loose with some jazz musos and some interesting sounds surface. Can't wait! Tripp Sprague  sax, flute and percussion 3 PM I'm thrilled to play an afternoon show at the Library in Escondido. It's free to the public and it'd be great to see you there. and around 40 teenage singers! 4 PM This is a big event for us. I was commissioned to compose a piece for the NC Singers plus my string group and I spent a month figuring out what would work. 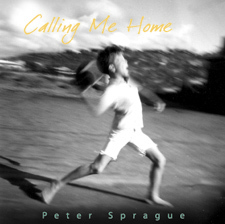 I love the piece and this will be the world premier of "Calling Me Home: Suite". It's a big piece and it takes us on a wonderful journey. You've got to hear it!